Since the 1880s, when immigrants from Ukraine to Canada embraced the opportunity to work, prosper and raise families in peace and freedom, Ukrainian culture has enriched the Canadian landscape in every facet of life. Today, over four million people in Canada can trace their heritage to Ukraine, and Ukrainian Canadians, by virtue of 120 years of contribution, are well organized and respected members of their communities. In 1995, Toronto was twinned with Kyiv, the capital of Ukraine, and to mark this occasion, the Bloor West Village Toronto Ukrainian Festival was established under the umbrella of the Ukrainian Canadian Congress - Toronto Branch. 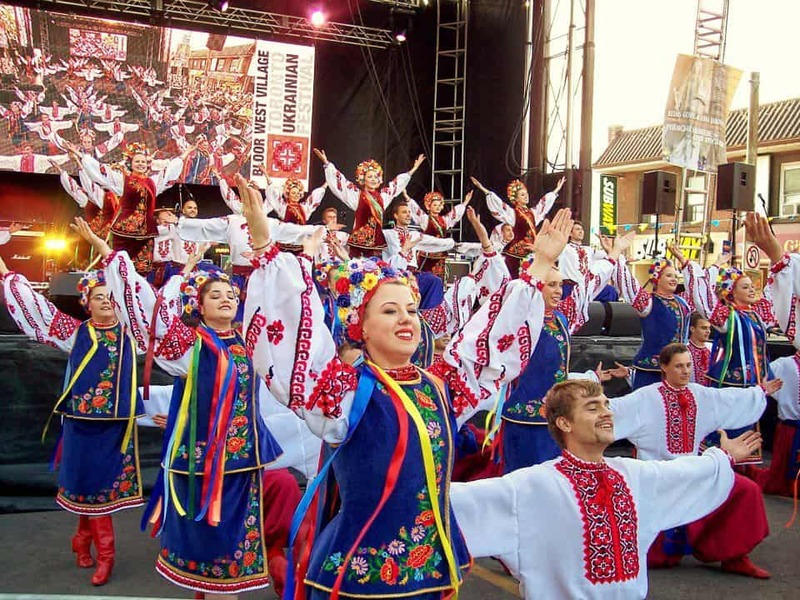 Originally known as the Bloor West Village Ukrainian Festival, it was meant to be a showcase of the most widely identifiable aspects of Ukrainian culture in Canada – music, dance, food, visual arts and community. It was an instant hit, establishing itself as one of the premier Ukrainian festivals in North America and growing to attract audiences well in excess of 500,000 from across Canada, the US and abroad. Festival Location: Bloor St. West, Toronto, between Jane St. and Runnymede Rd. Take the TTC – we’re right at both Jane station and Runnymede station on the Bloor-Danforth subway line. Please note this is a rain or shine event!